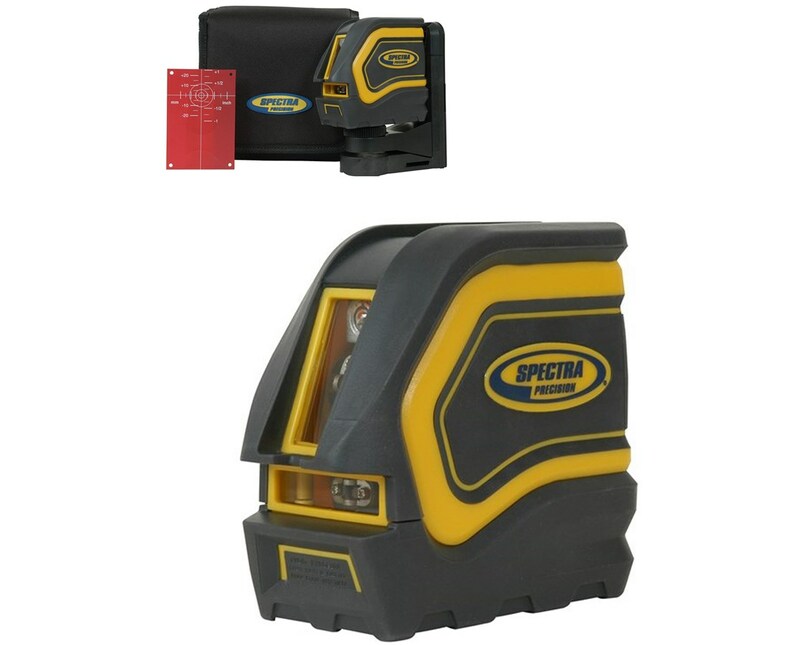 The Spectra Precision LT20 Cross Line “Laser Tool” is an automatic self-leveling, multi-purpose laser tool that projects ultra-bright horizontal and vertical lines. 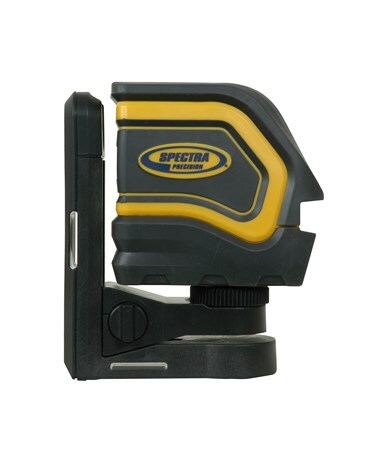 This is a versatile accessory that is used in a wide variety of interior applications including leveling, lay-out, vertical plumb and alignment, ceiling installation and finish carpentry. The LT20’s laser beam fan angle is wide which provides maximum coverage and is also having an accuracy of ±1/8 inch at 30 feet. It is also designed with a new look including a tough housing with generous overmold to withstand the rigidities of professional construction environment. A robust tool, LT20 Cross Line Laser is designed to last longer than other cross line lasers since it is dust proof and water resistant and it works even after dropping at 3 foot (1 meter). 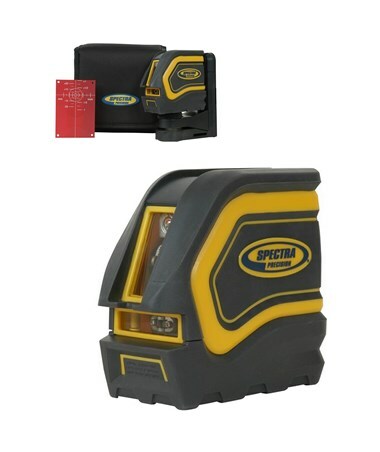 Proven useful for any application, Spectra LT20 Cross Line Laser provides the best coverage for professional construction work. Dimensions 4.3" x 2.3" x 4.1"